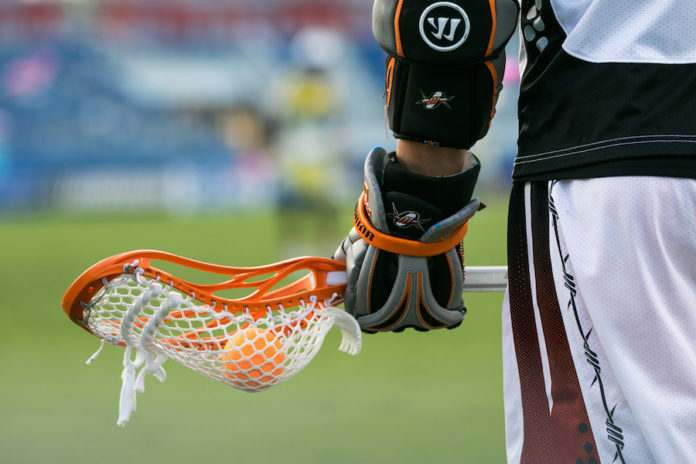 With playoff contention on the line, the Denver Outlaws (7-6) fell just short, losing 13-11 to the Chesapeake Bayhawks (9-4) on Saturday night. However, despite the loss, the Outlaws stay in third place in the Major Lacrosse League standings, currently holding a playoff spot with one regular season game left in the season. Outlaws veteran attackman Eric Law tallied a hat trick in the loss and Outlaws midfielder Zach Currier notched three points (2 goals, 1 assist) in the loss. 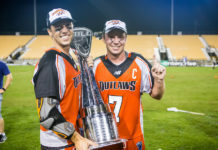 Outlaws faceoff specialist Max Adler continued to remain the league’s leading specialist by winning 12-of-24 faceoffs and recording four ground balls. In his first start of the season replacing the injured Jack Kelly, Outlaws goaltender Dillon Ward made 11 saves against the Bayhawks. Chesapeake came out of the first quarter firing on all cylinders, with former Outlaw attackman Jeremy Sieverts scoring a two-point goal to kick off the game for the Bayhawks against his former club since being traded earlier in the season. Things would continue to go wrong for the Outlaws, as the Bayhawks closed out the first quarter with a 6-1 lead, and having the same success in the second quarter to head into halftime with an 8-3 lead over the Outlaws. The third quarter would be more of the same, with the Bayhawks going on a three-goal scoring run, and holding the Outlaws to only one goal in the quarter to head into the final frame with the 11-4 advantage. 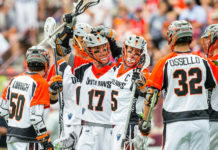 The Outlaws began their comeback attempt with an 8-2 goal-scoring run to cut the Bayhawks lead to 13-11 in the final minutes of the fourth quarter, with some help from a two-point goal from Outlaws midfielder Romar Dennis. The comeback attempt came a little bit too late, as the Bayhawks held onto the 13-11 victory, clinching the 2nd playoff spot for the 2018 MLL Playoffs.